Carmelo Anthony strolled into a blended gathering of boos and cheers in his first diversion back at Madison Square Garden since the Knicks exchanged him to the Thunder over the mid year. 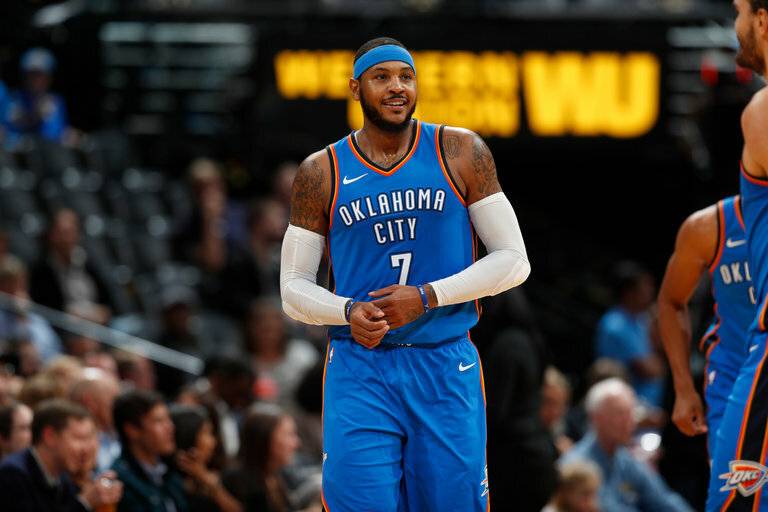 What’s more, after Oklahoma City bombed in the second round of a consecutive, losing 111-96 to New York, Melo said he just needs to be recognized as somebody who had expectations and dreams of winning a title. “I needed to be here. Came here. Did what he needed to do night-in and night-out, in any case,” he said. “Stayed positive through all the negative circumstances, all the negative circumstances. Stayed with it through great circumstances, through awful circumstances. Never faltered. Some individual who remained proficient all through my seven years here. In case you’re a Knicks fan or have taken after the group since Melo constrained an exchange to New York in 2011, you know he hit the nail ideal on the head. While Phil Jackson openly dragged him, while the Knicks set up together a program that went 17-65, Melo remained proficient and positive. He needed to win a title. He just never did. Most b-ball players don’t. So perhaps Melo deserved the blended gathering he got when he was presented as a Thunder player on Saturday night. In any case, if that is the inheritance he needs to abandon, any reasonable person would agree that is the way fans ought to recollect him.